Navy divers found the bodies of missing sailors Sunday aboard the stricken USS Fitzgerald that collided with a container ship in the busy sea off Japan, the Navy said. Searchers gained access to the spaces that were damaged during the collision and brought the remains to Naval Hospital Yokosuka where they will be identified, the Navy said in a statement. Seven sailors had been missing, but Yoko Kato, a spokeswoman for the U.S. Navy in Yokosuka, said not all seven were recovered. She didn't say how many were found. Japan's coast guard officials said the sea and air search was still continuing at the site of the collision. The Navy said that the families were being notified and provided the support they need during "this difficult time." The names of the sailors will be released after all notifications are made. 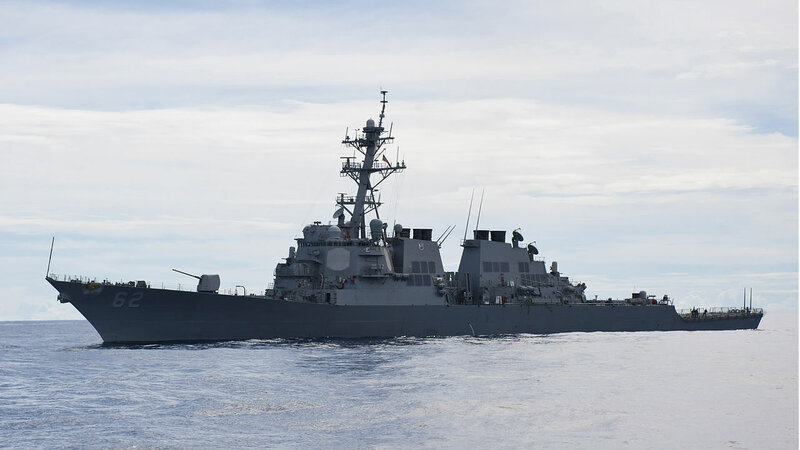 Sixteen hours following the predawn Saturday collision, the damaged destroyer was pumping out water as it limped back to its home port in Yokosuka Naval Base south of Tokyo by sunset Saturday, its crew lined up on deck. The Philippine-flagged container ship was berthed at Tokyo's Oi wharf, where officials began questioning crew members about the cause of the crash. At least three other crew members, including the captain, were injured in the crash, which damaged two berthing spaces, a machinery room and the radio room. Most of the more than 200 sailors aboard would have been asleep in their berths at the time of the collision. It wasn't clear what caused the crash.